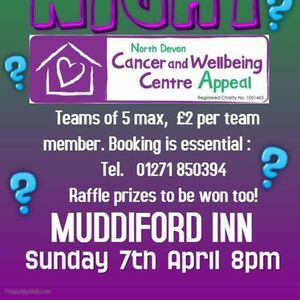 Charity quiz night at the Muddiford Inn, in aid of Over & Above's Cancer & Wellbeing Centre Appeal. £2 per team member & a maximum of 5 per team. Essential to book your table. 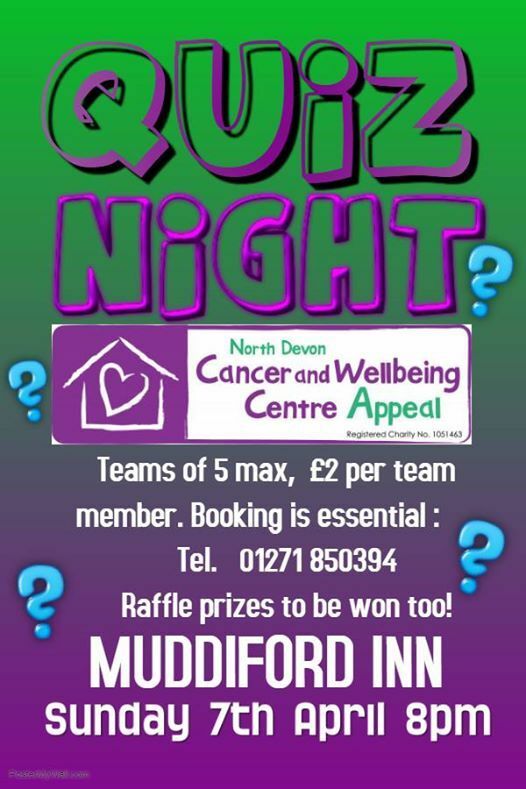 01271 850394 There will also be a raffle, with lots of fantastic prizes to be won.